LANSING, Mich (WLNS) - The "Yes Means Yes" bill has be reintroduced by Senator Curtis Hertel, Jr. The Democratic Senator from East Lansing reintroduced the bill that aims to educate students about sexual assault, dating violence, bystander intervention techniques and affirmative consent. The East Lansing Senator's bill comes as news surrounding alleged sexual assault incidents at Michigan State University continue to develop. According to a press release about the reintroduced bill, women age 18 through 24 in college are three times more likely to be assaulted than the average woman. “When we send our kids off to college, we should worry about their grades and how we’re going to afford the cost, not if our children are safe on their campus of choice,” Sen. Hertel said. Senate Bill 270 defines silence and lack of resistance do not serve as consent, at any point during a sexual encounter consent can be taken away, dating does not imply consent. 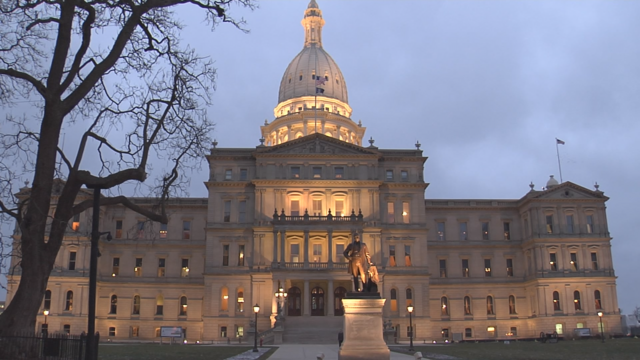 The bill would also require Michigan schools to teach young people about sexual assault and tips for a healthy relationship. “Right now, we’re not doing everything we can to spread awareness about affirmative consent, and as a result, 1 in 5 women and 1 in 16 men are victims of sexual assault while they are college students in Michigan,” said Gov. Gretchen Whitmer. ‘Yes Means Yes’ legislation has been passed in four other states around the country. Child shot in Blackman-Leoni Twp.